Monkey Bread. 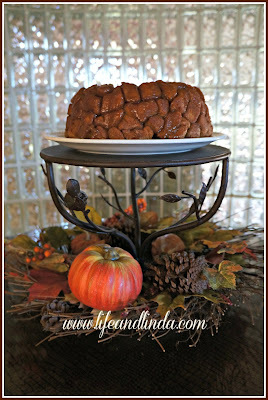 Turn some small biscuits into a bundt cake pan and add some brown sugar and butter and you are there. 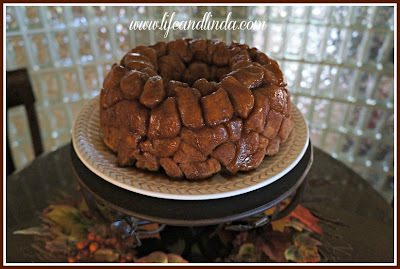 Here you go, some wonderful Monkey bread....add a cup of coffee or cocoa and you are loving it! Thanks for visiting. Enjoy your week! Looks delicious. I've read about this many times but have never made it! Maybe this is the little nudge I need. 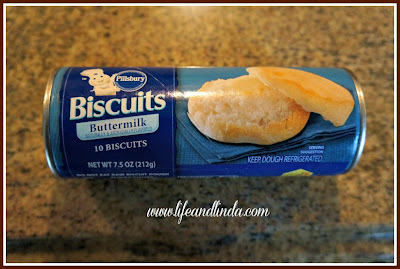 Oh my how yummy, and I just think I can do this. I am going to give it a try! Thank you, sweet lady. Hope you are enjoying this wonderful fall weather. This looks delicious! I love monkey bread but have never attempted to make it. I never thought it could be so simple! : ) I am loving this recipe and can't wait to try it. It will be a perfect beginging to a chilly Sunday morning (with my coffee of course!). 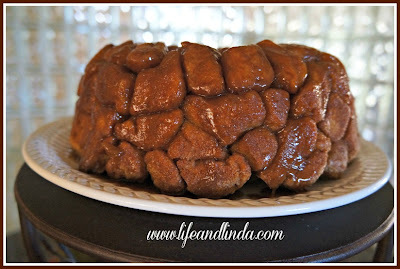 Linda, this is a sin..you know..but it looks so yummy and I have to try it. Linda, this looks delicious! 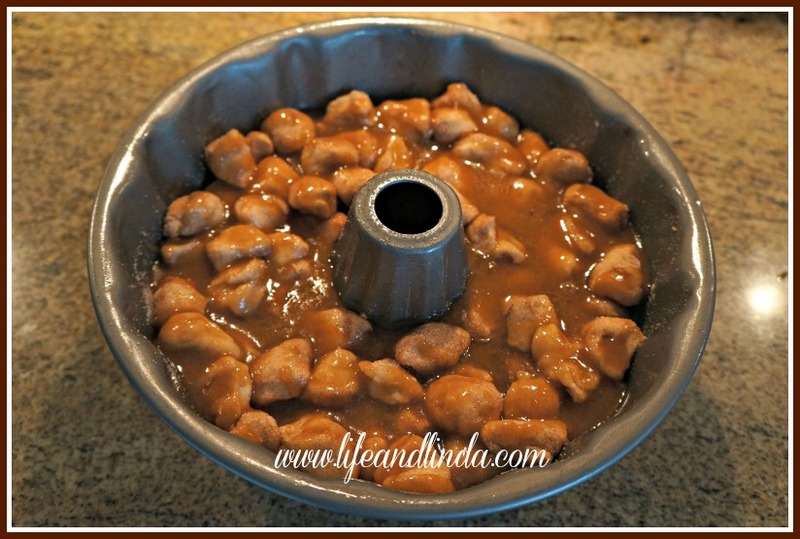 My girls used to make this all the time. It was one of the first things they learned to make, as part of a school project. Yours looks beautiful on the stand! How much sugar, cinnamon, and butter do you need? You had me at easy...I want to try this! interesting cake and of a great effect. I like it Linda! Linda, I have been craving breads with a little cool weather! This looks so great. I can almost smell it. It turned out so pretty. 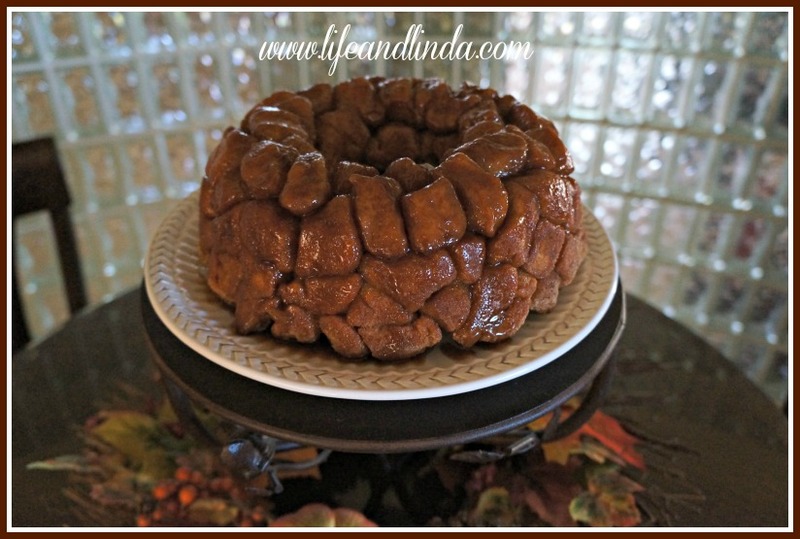 I have very fond memories of Monkey Bread at my grandmother's house!